Spring forgot to set the alarm clock! While we are waiting for Spring to wake up and replace this persistent winter weather with warm temperatures, many cattle owners are struggling to stretch an already short hay supply. Turning out at the first sign of grass growth has consequences. Plants need the opportunity to establish a good root base. Grazing plants too early and too often can deplete root reserves and result in poor pasture performance for the remainder of the year. The above ground growth is a good gauge of how much root growth is occurring under the surface. Thus, if grazing occurs to short plants, the plants will be stressed and struggle to build a root base needed to be productive during the season. Eliminate extra mouths. If you are planning to sell cattle or cull animals, go ahead and get them marketed. Purchasing hay for animals you plan to sell shortly is a bad idea. Market them now. Limiting time of access can be achieved by locking cows away from the hay feeder. Be sure to allow enough feeder space for all cows when limiting access. Supplementation will be needed. Consider DDGS, CGF, soybean hulls and grain mixes to meet nutrient requirements. Utilize alternatives like cornstalks, straw, oat hulls, etc. when economical. Consider higher inclusions of co-products like DDGS, CGF, soyhulls, etc. Limit feeding a ration of 15 pounds of hay and 15 pounds of DDGS/CGF/Soyhull mix can be viable for a lactating cow. Changes to mineral supplementation are likely necessary. Fifteen pounds of hay is close to half what a cow would consume when given free access. Keep pens and feeding areas as clean as possible. This helps avoid hay and forages being trampled into the mud or manure. This is all easier said than done. I know that. However, thought and time spent executing a plan to continue to stretch hay and feeds can result in better pasture productivity for the rest of the year. 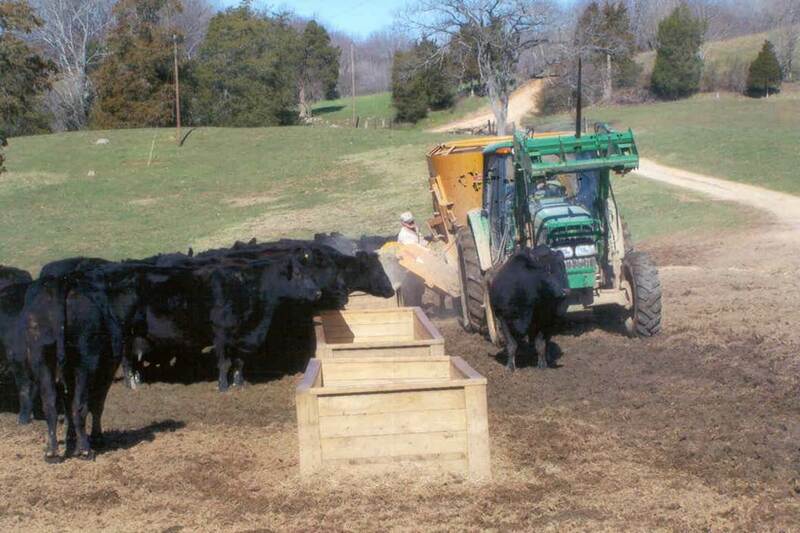 If you must get cows out onto pasture (may be the best for calf health), create a sacrifice area. Many producers have already done this. This will limit the damage and protect other acreage from overgrazing early. This area will be abused and will need renovated. This area can be a great place for summer annuals like sorghums or millets. If you have a rotational grazing system, turning out early can be less damaging. Rotational grazing can help better manage the forage height and allow rest for forages that have been stressed. This year has been challenging. Damaging pastures due to overgrazing early in the season will only create more challenges in 2018.